This entry was posted in Top Ten Tuesday and tagged anticipation. 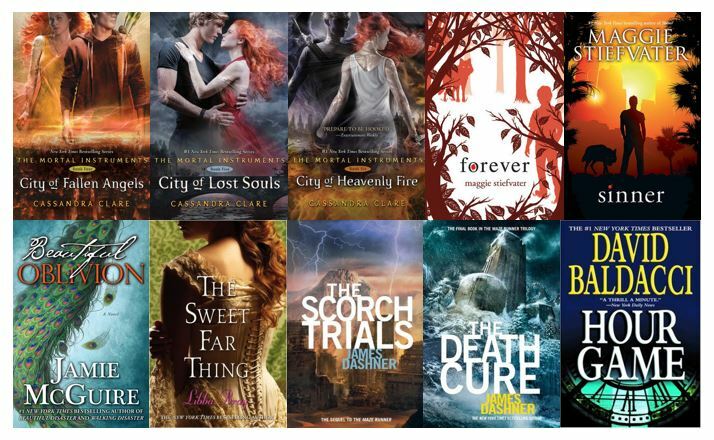 City of Fallen Angels, Beautiful Oblivion, City of Heavenly Fire, City of Lost Souls, Forever, Hour Game, sequels, Sinner, Sweet Far Thing, The Death Cure, The Scorch Trials, Top Ten Tuesday. Bookmark the permalink. Oh my goodness I am so in love with the Wolves of Mercy Falls series so far; Shiver was soooo good! So many good series:) Hope you enjoy them all!